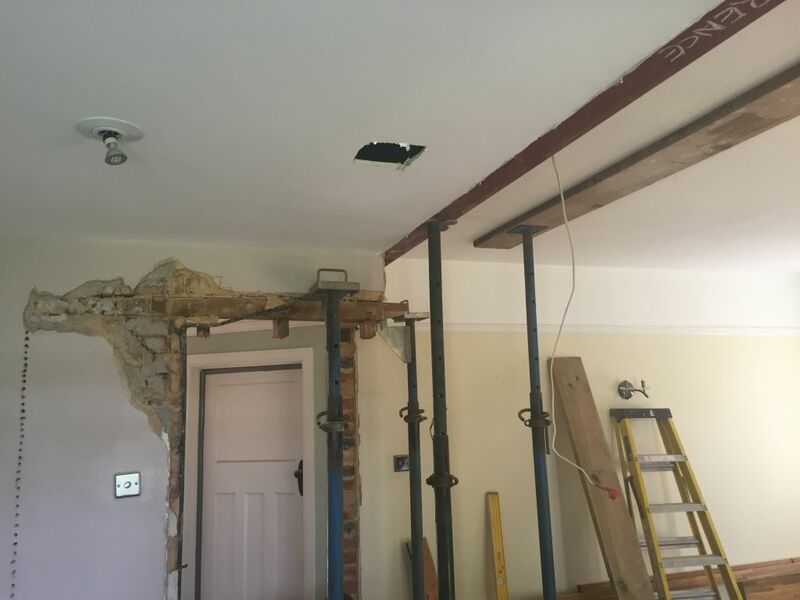 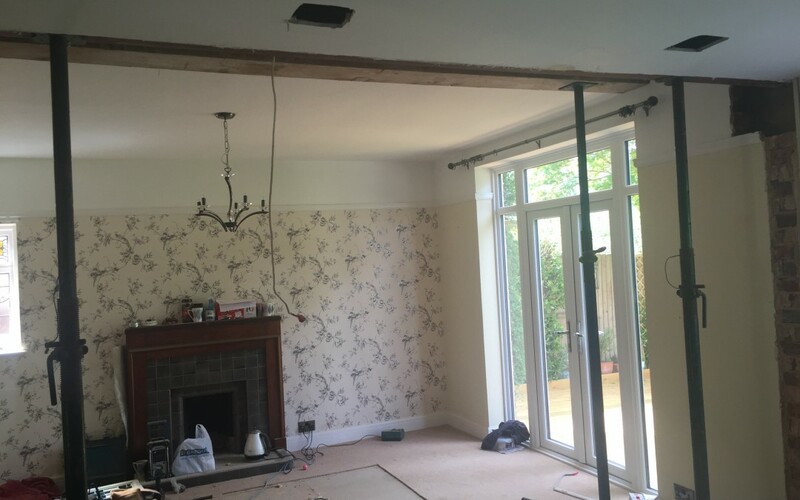 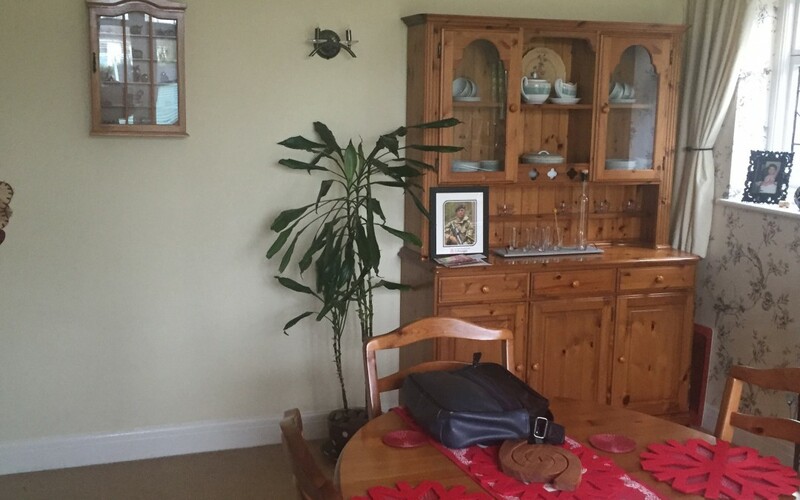 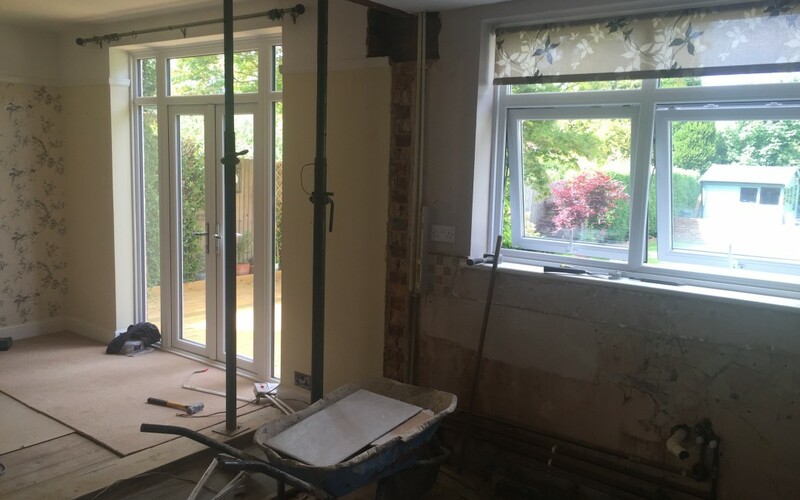 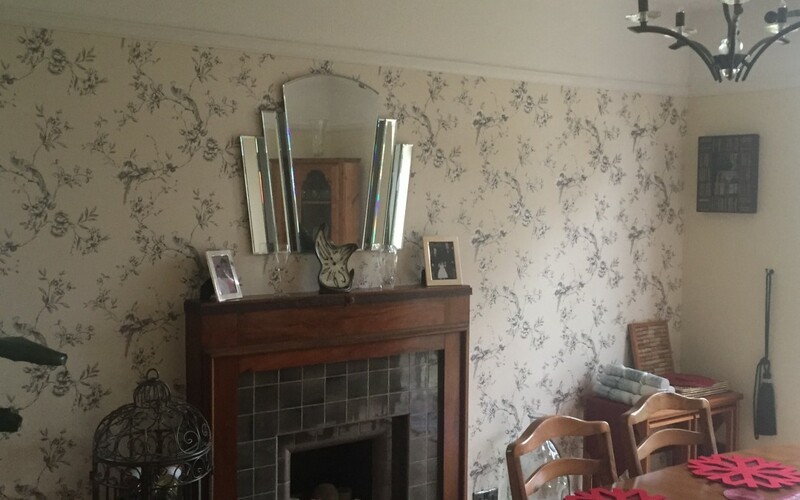 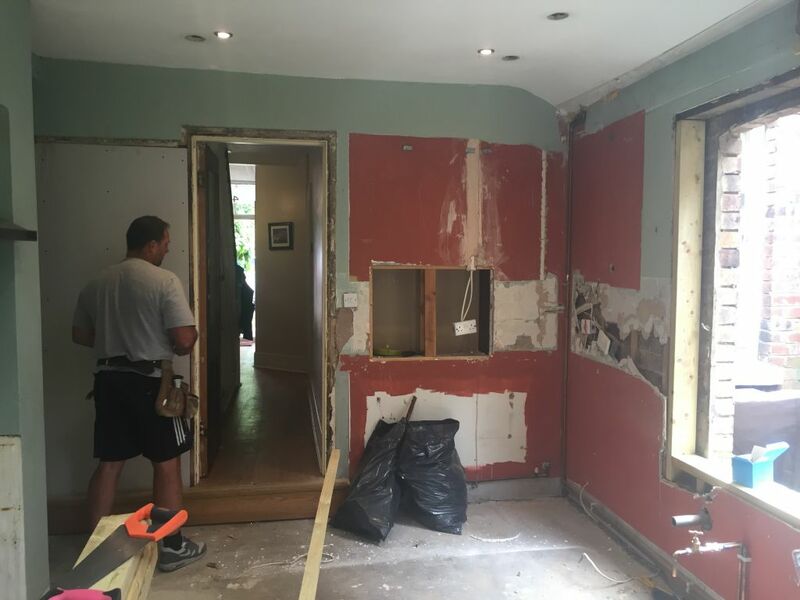 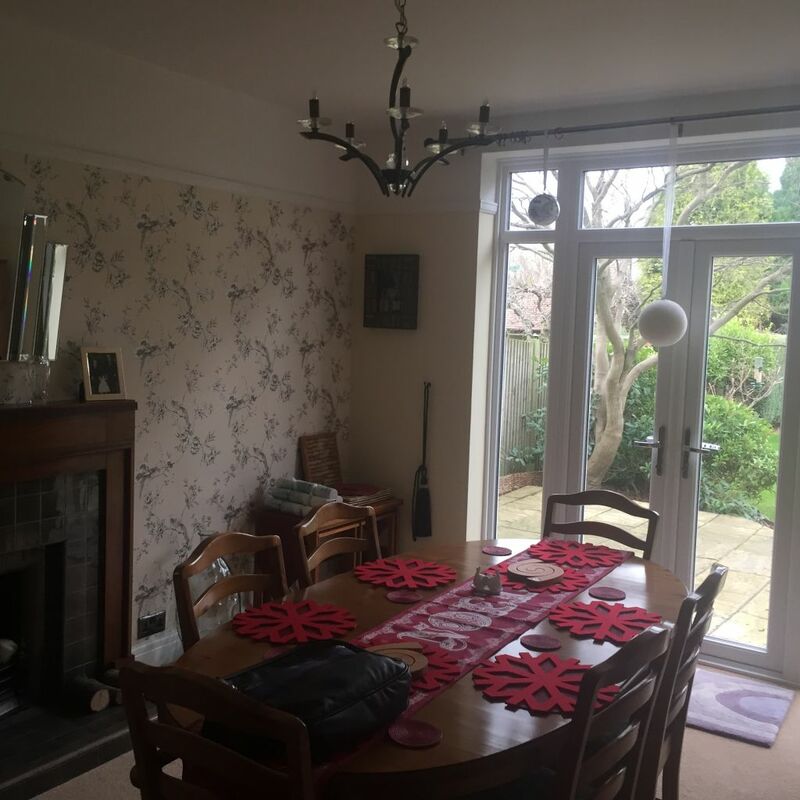 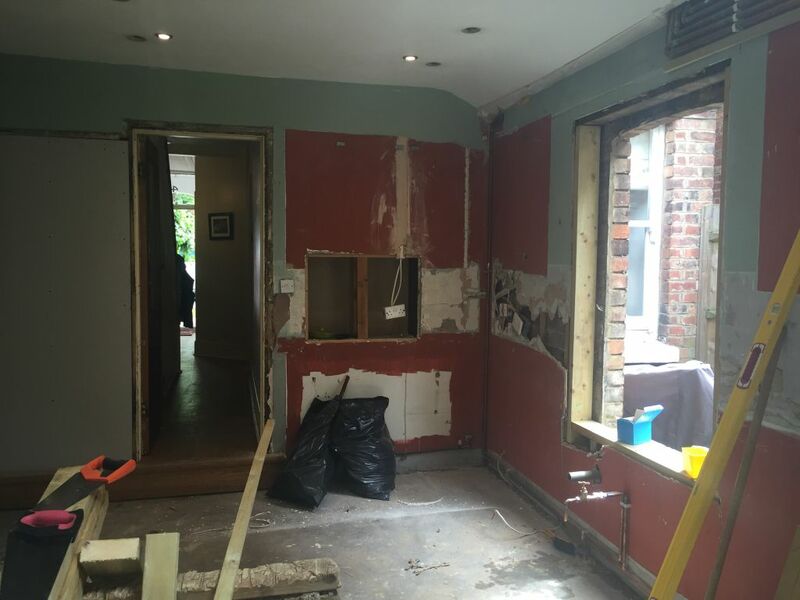 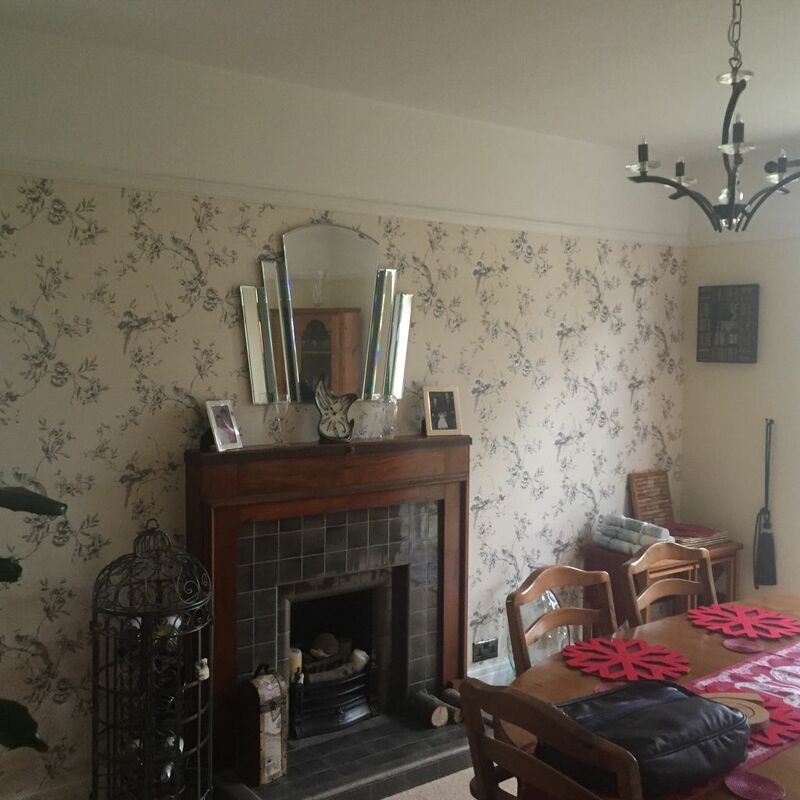 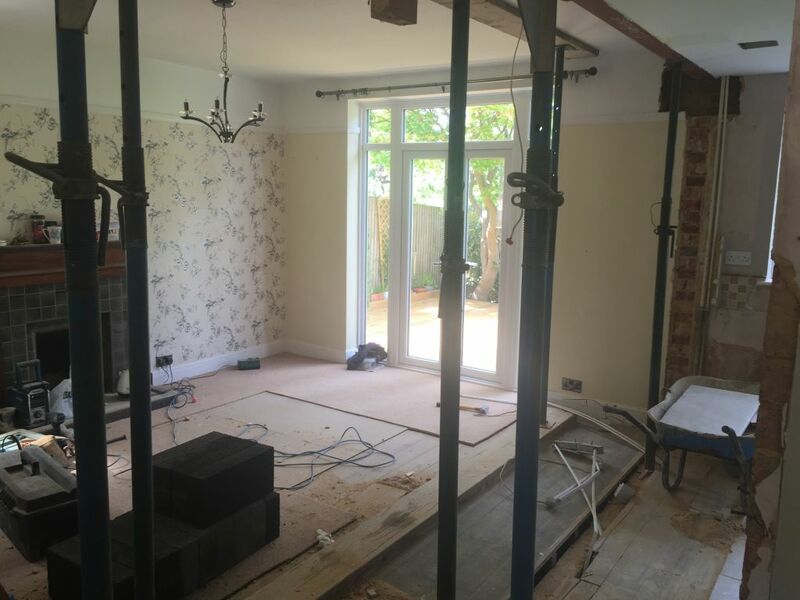 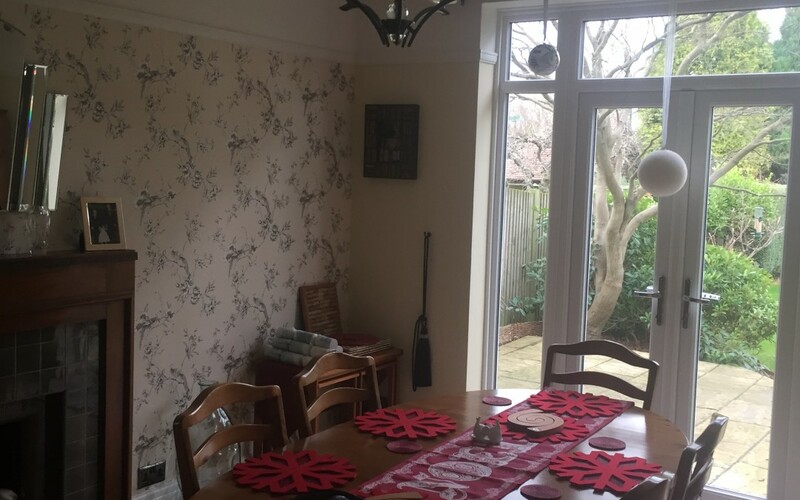 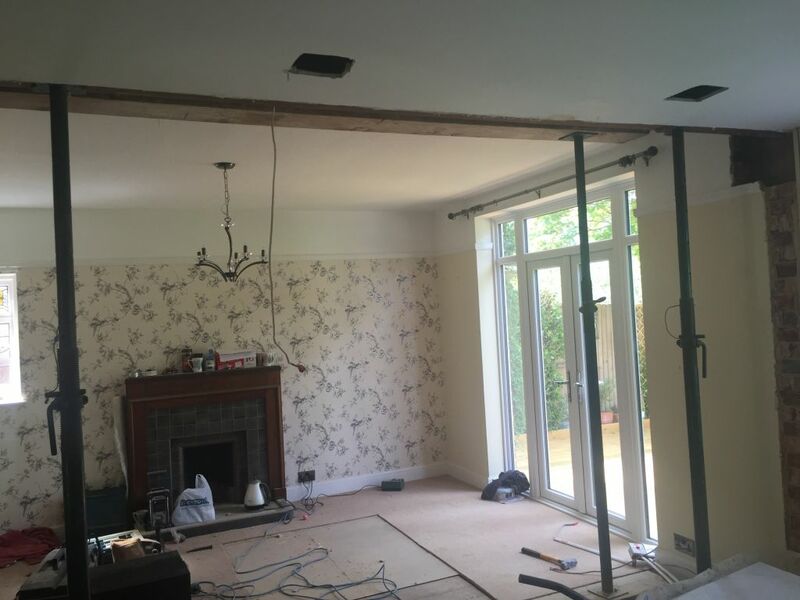 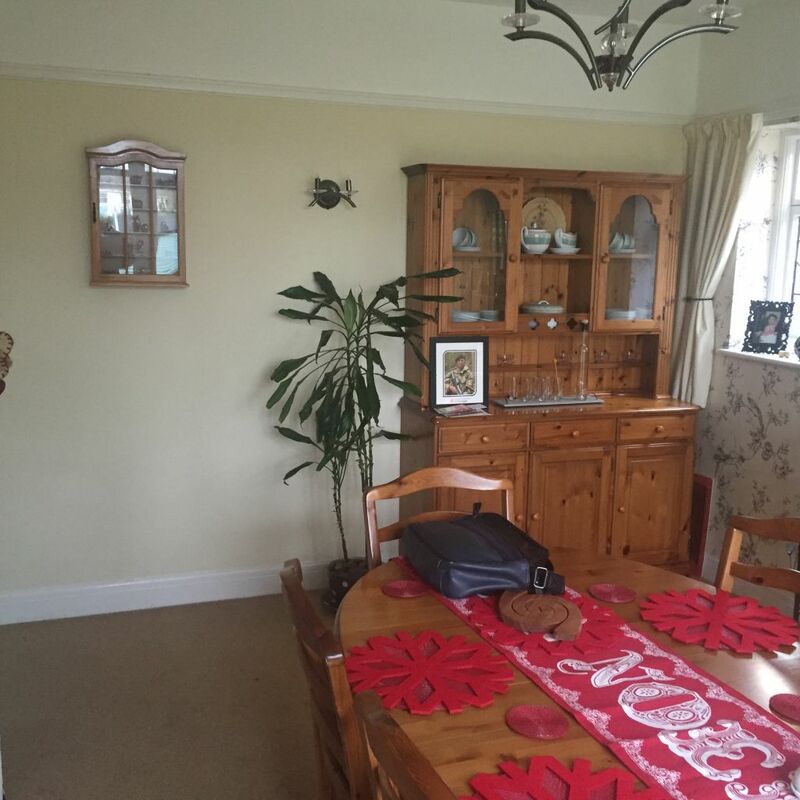 This project involved knocking through the old kitchen wall into the dining room to create a new much lighter and usable living space. 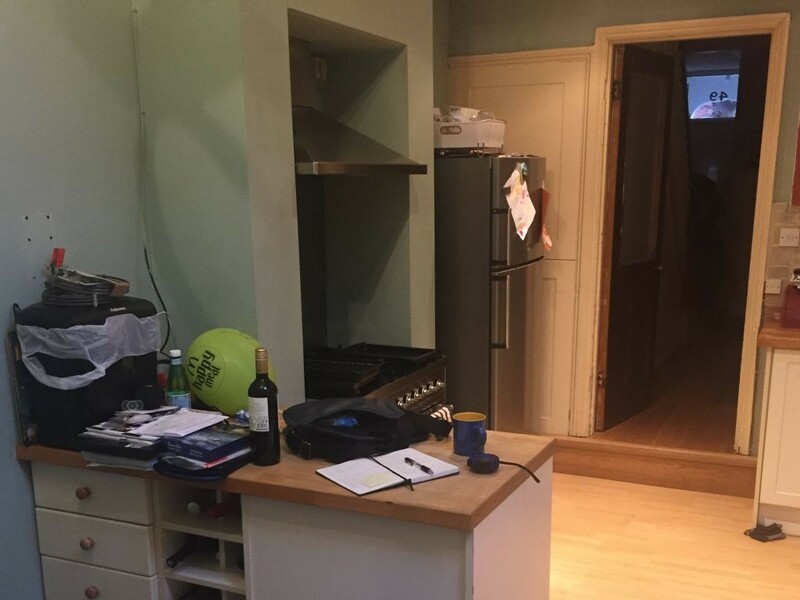 The new room includes a really useful kitchen island with gas hobs. 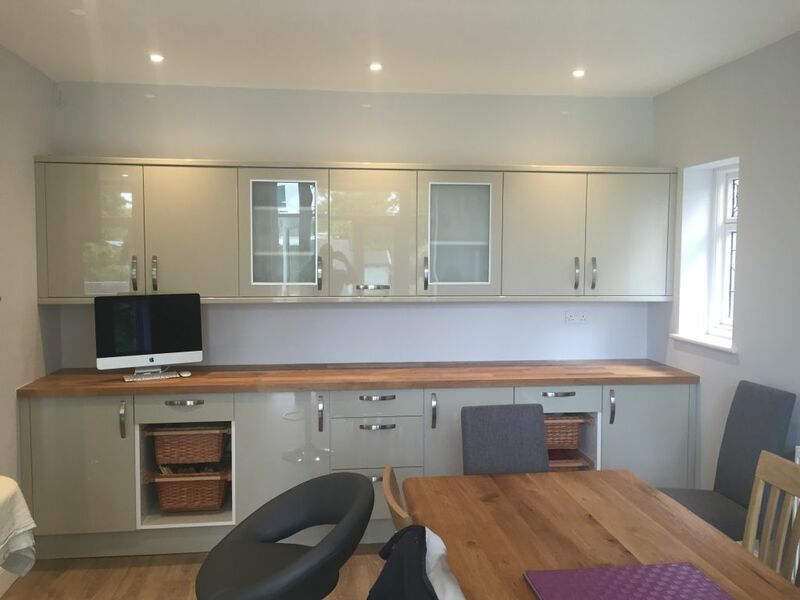 It has gorgeous wooden worktops and light base and wall units. 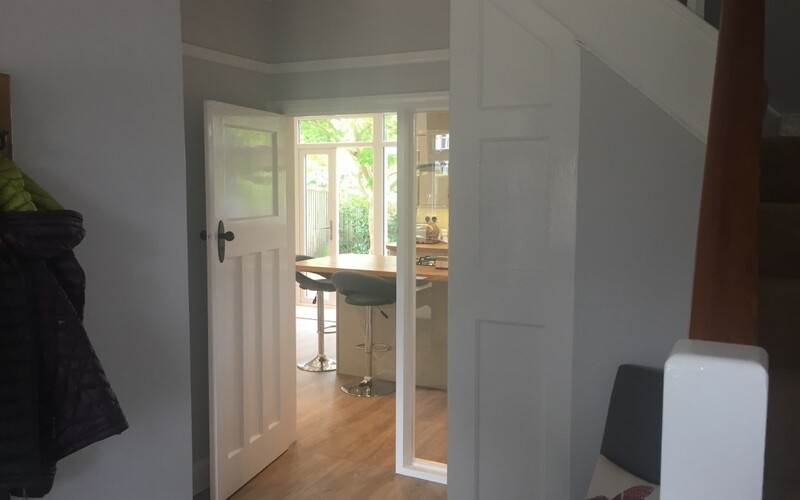 The whole space is now much more bright and family friendly. 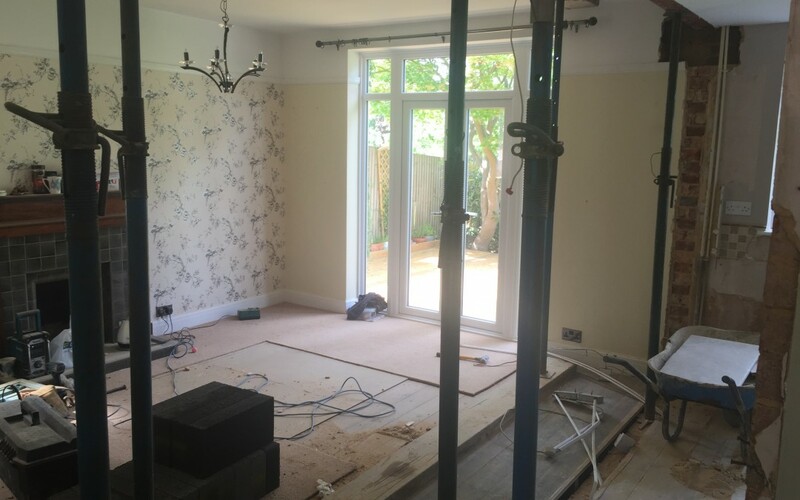 See below for some of the before, during and after photographs. 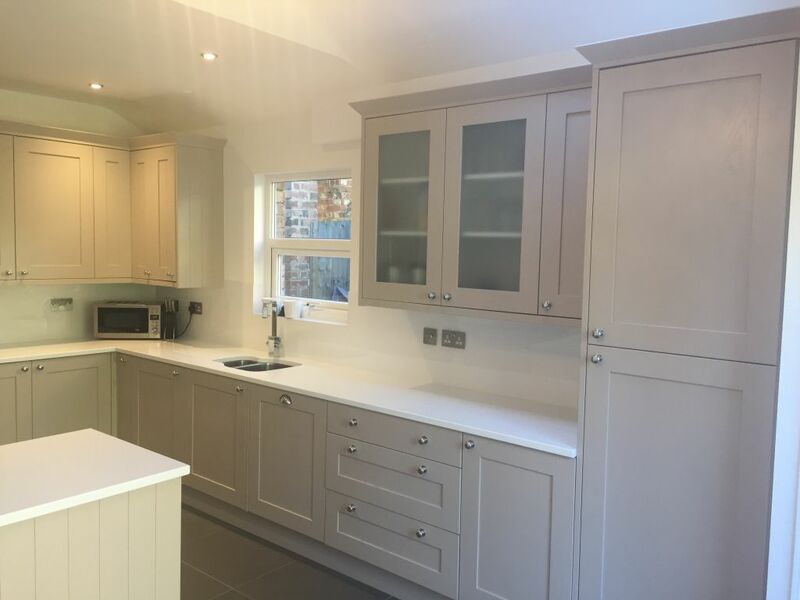 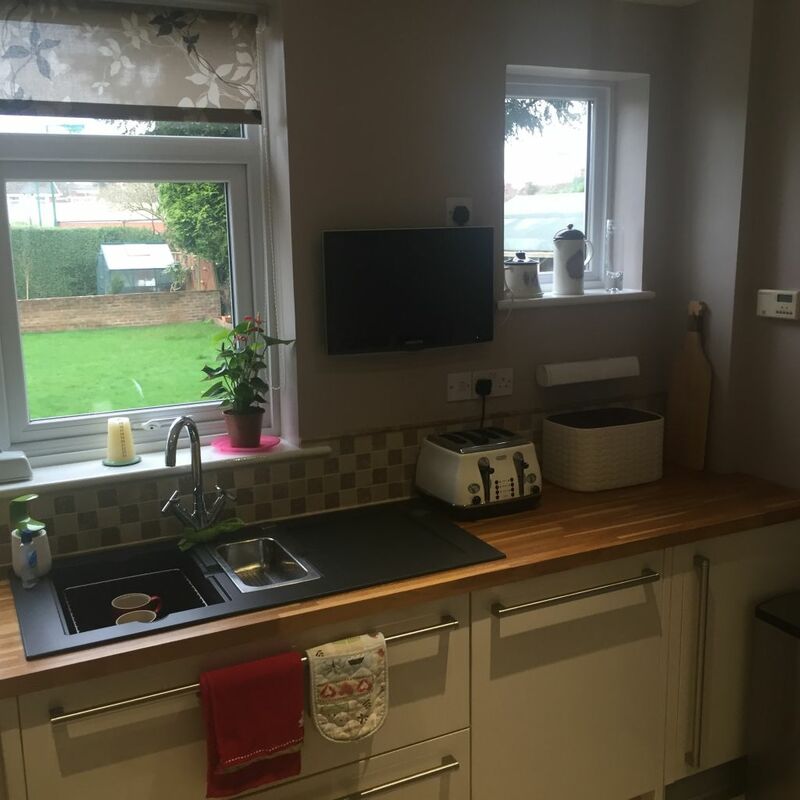 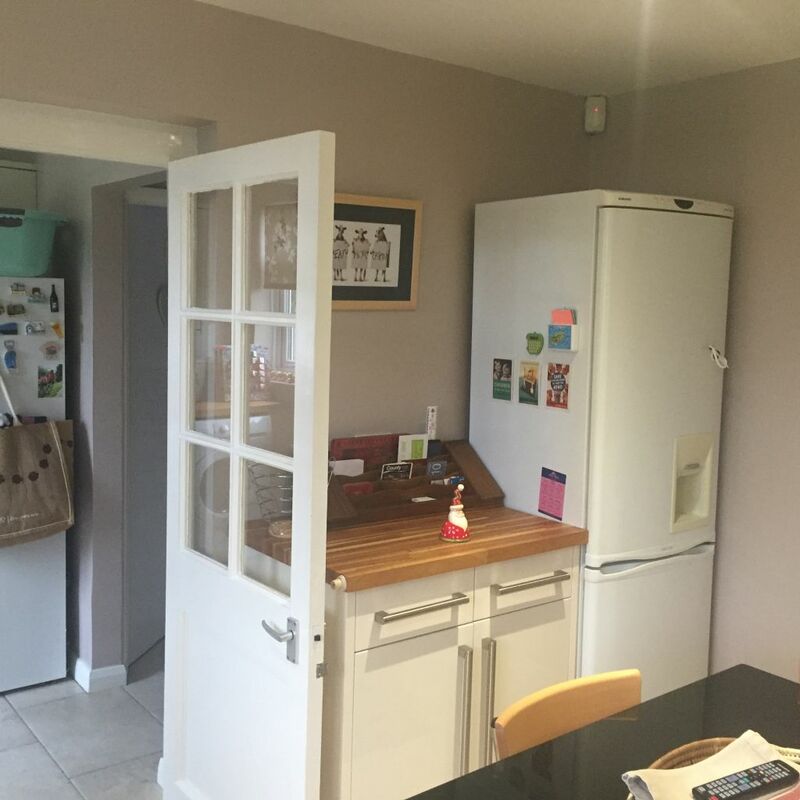 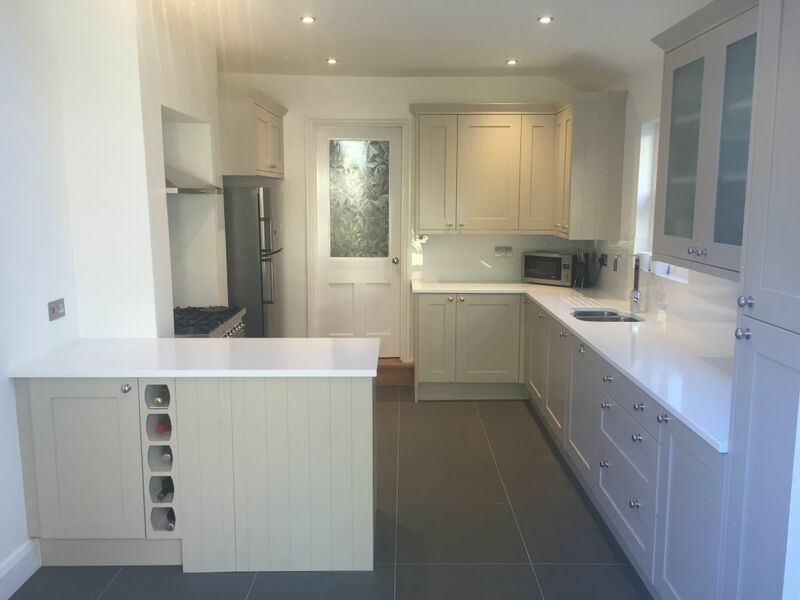 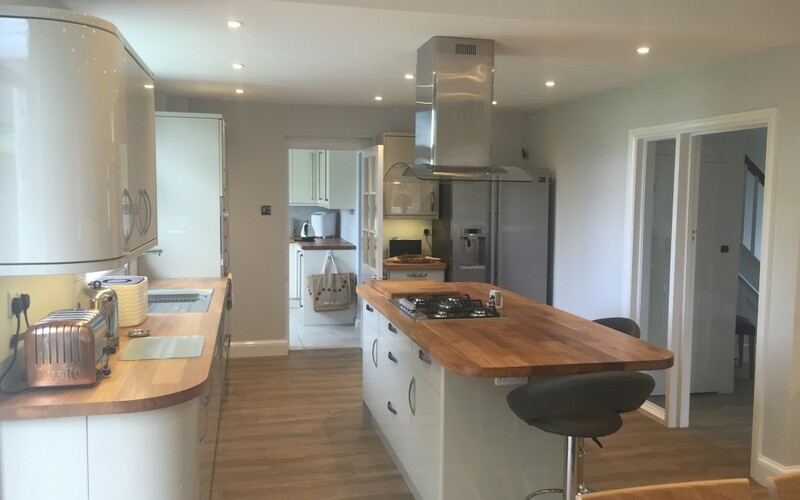 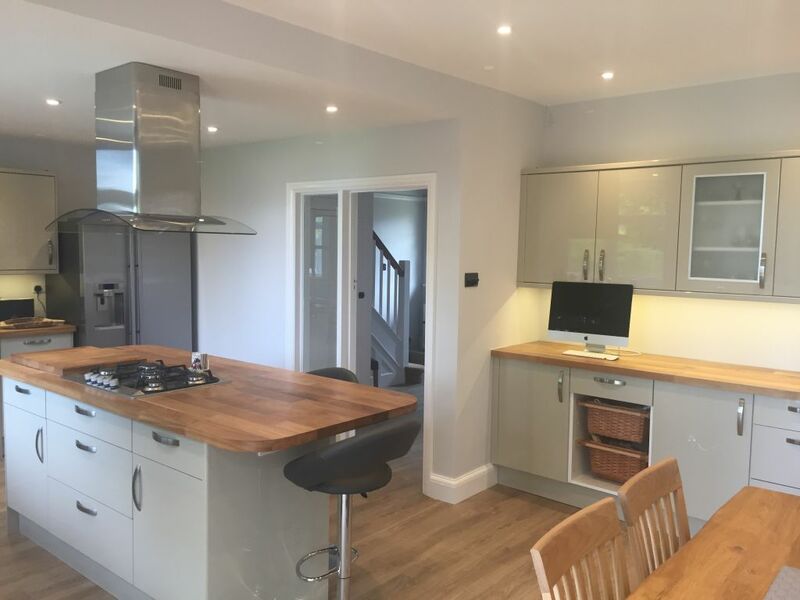 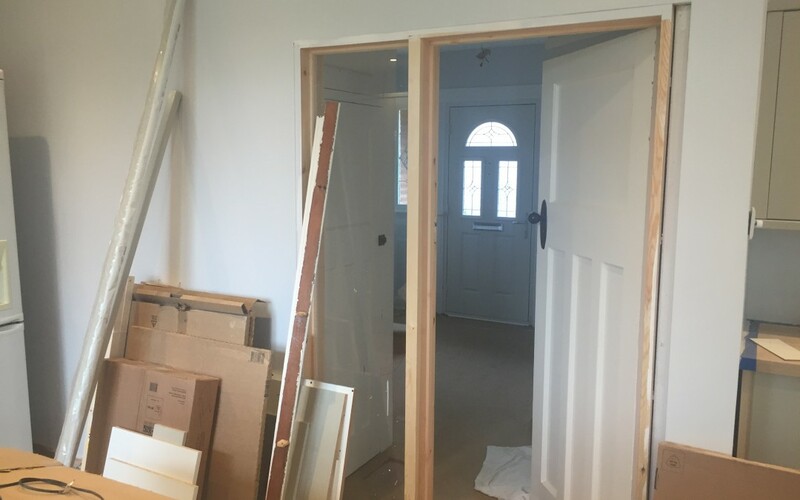 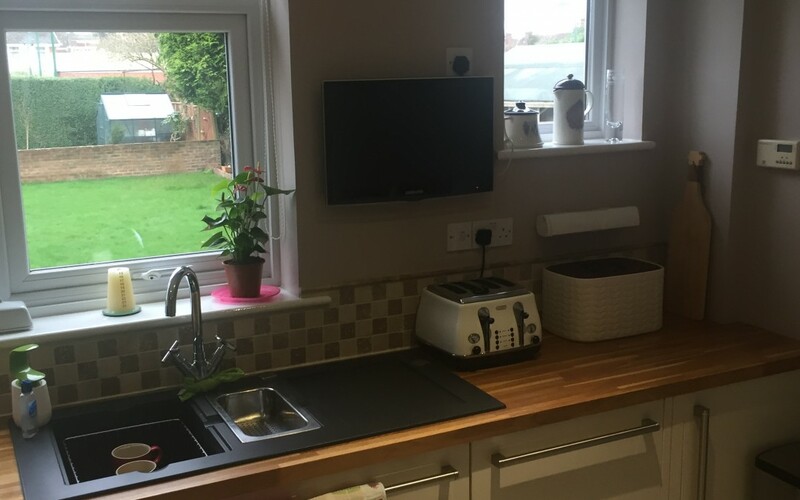 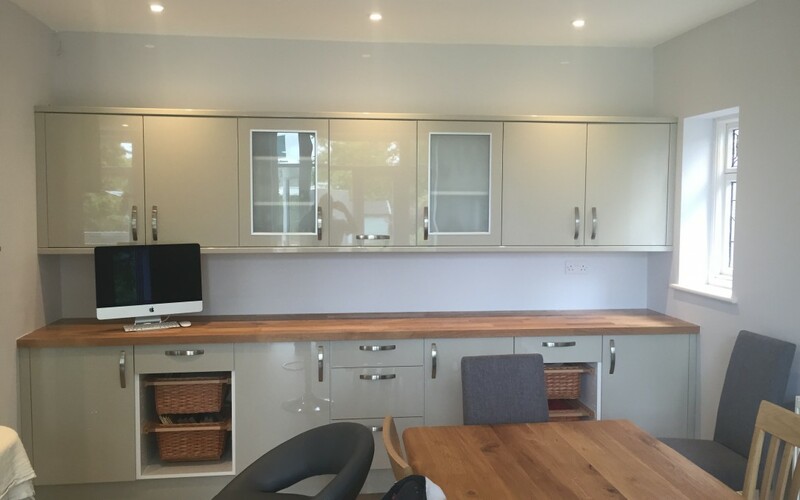 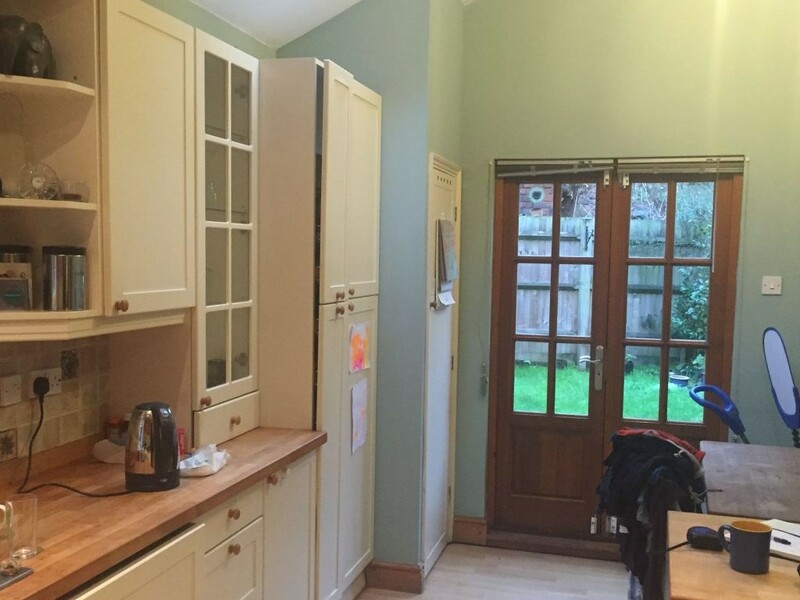 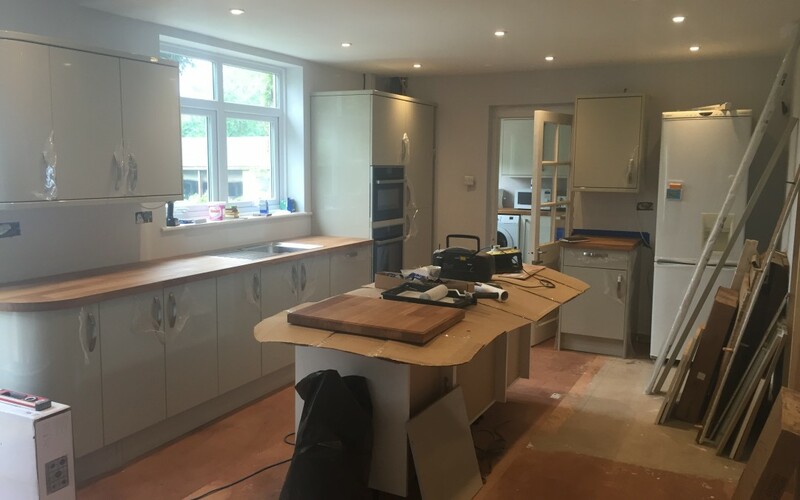 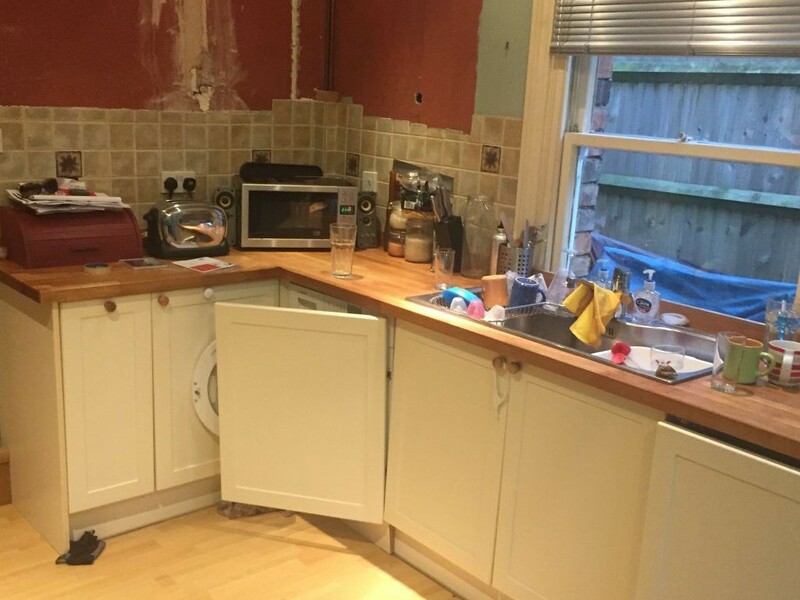 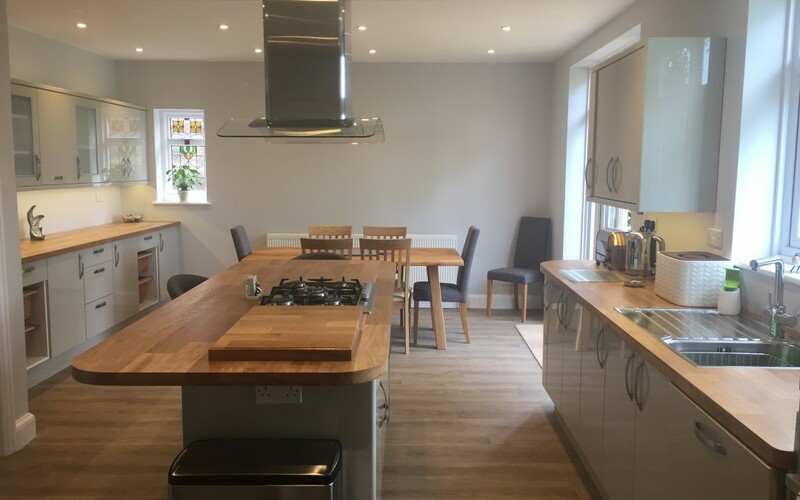 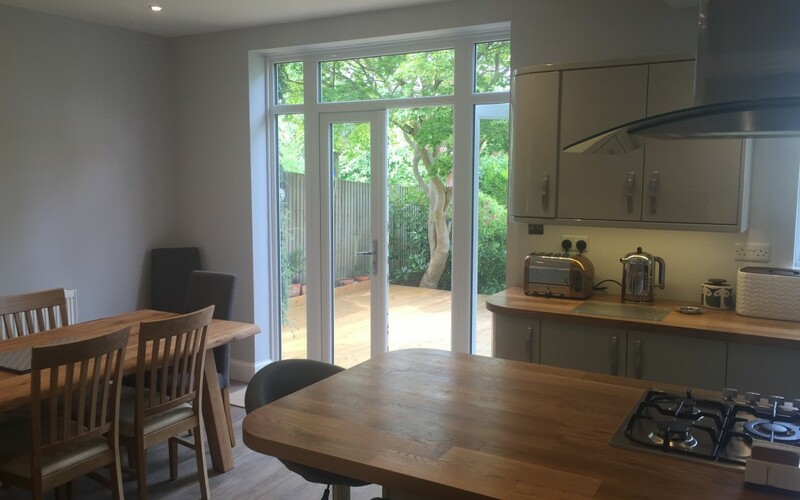 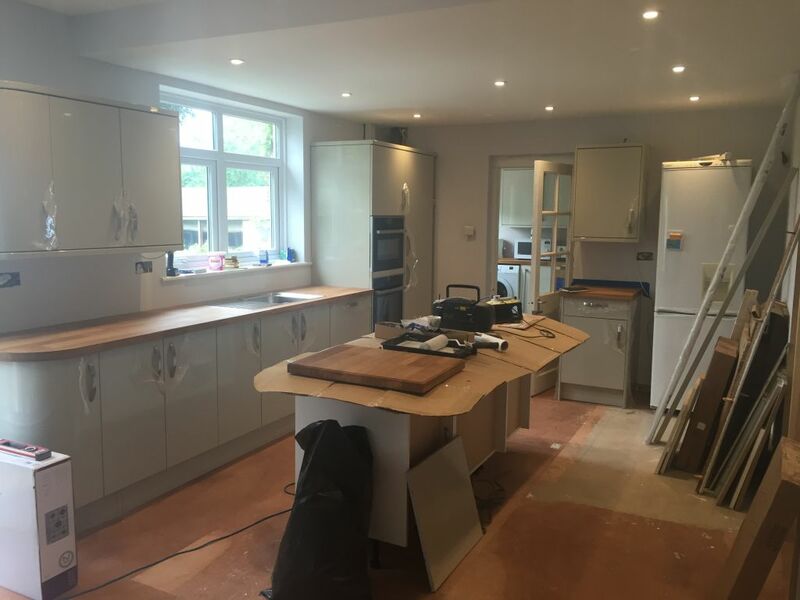 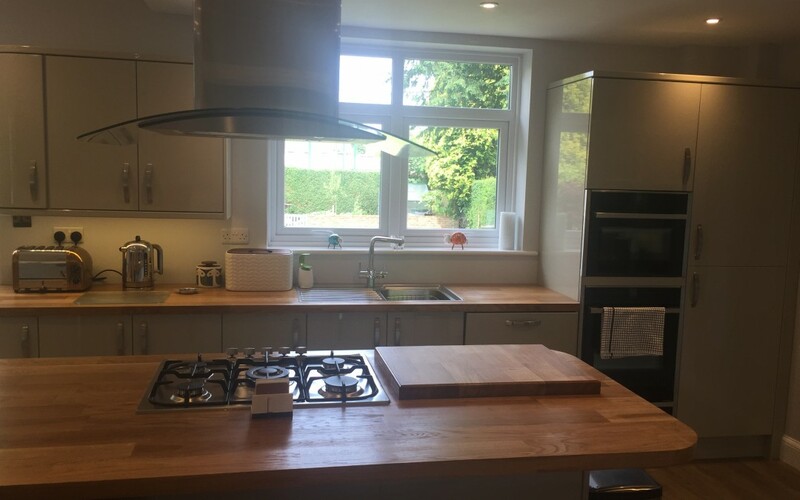 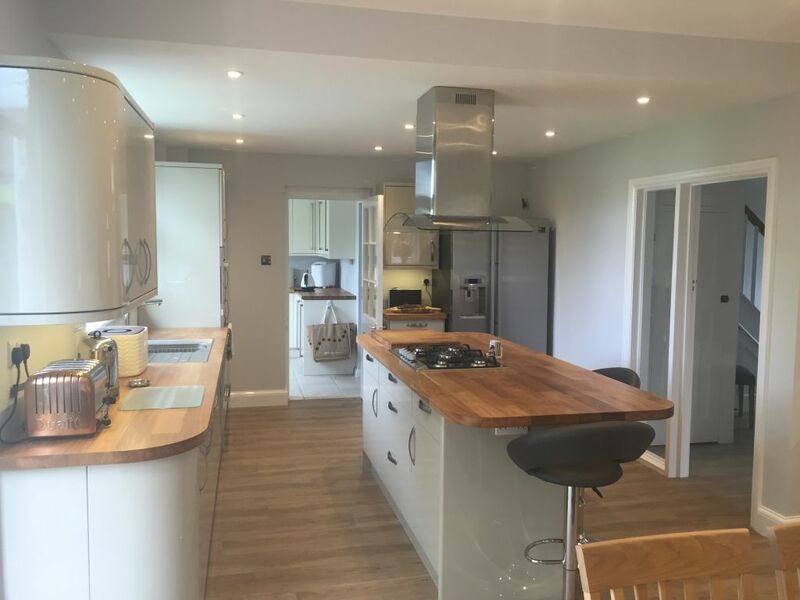 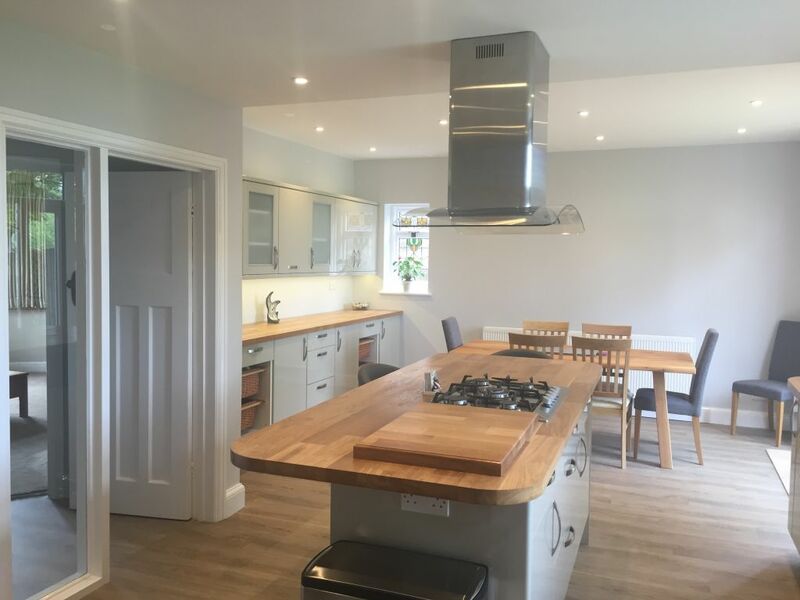 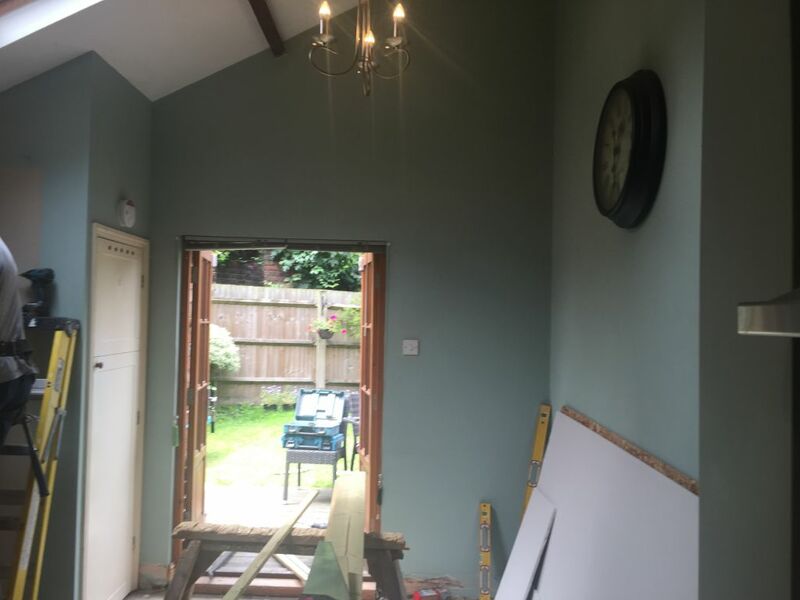 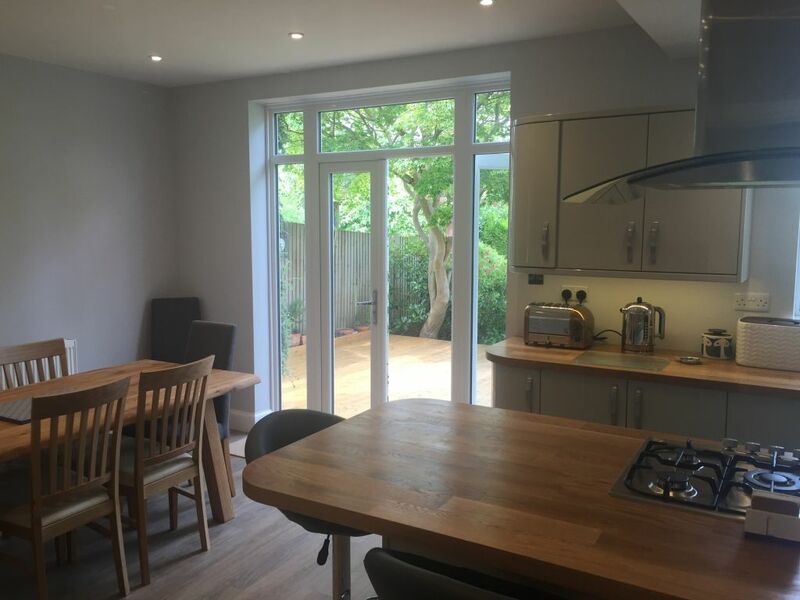 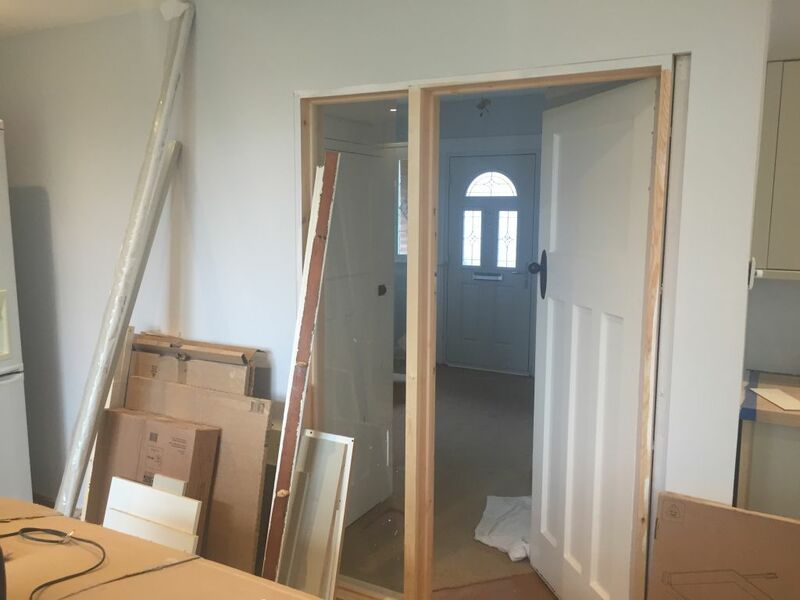 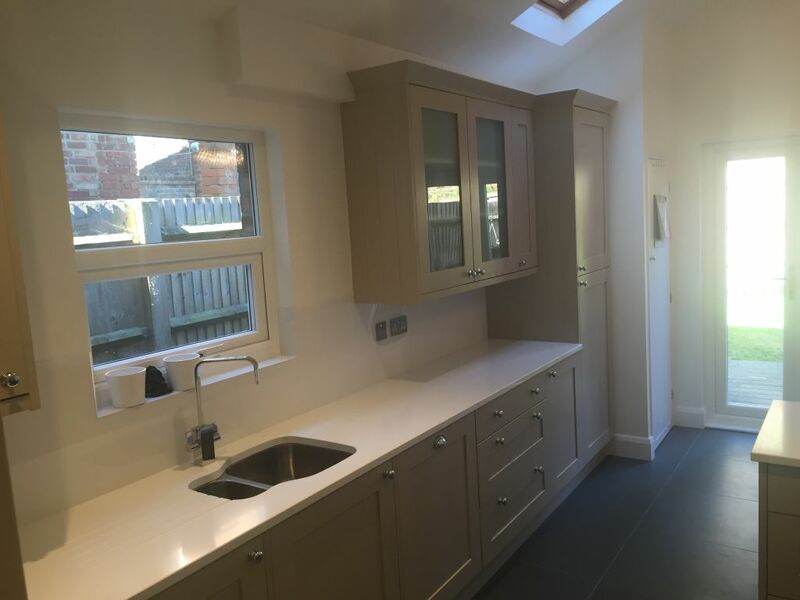 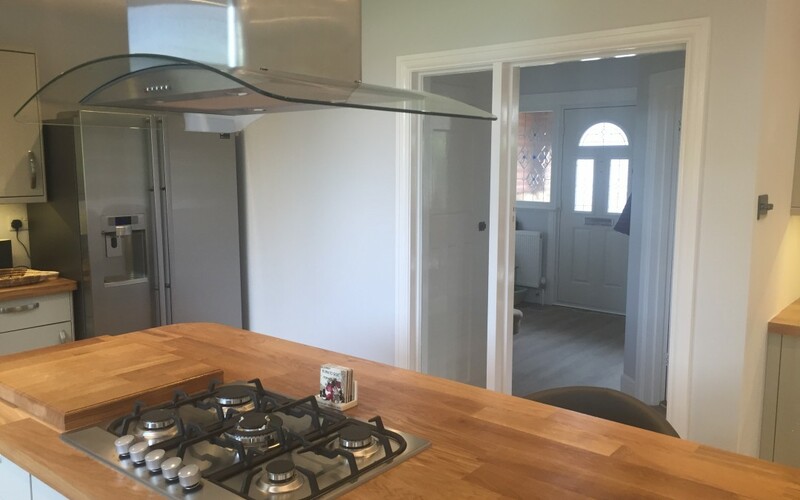 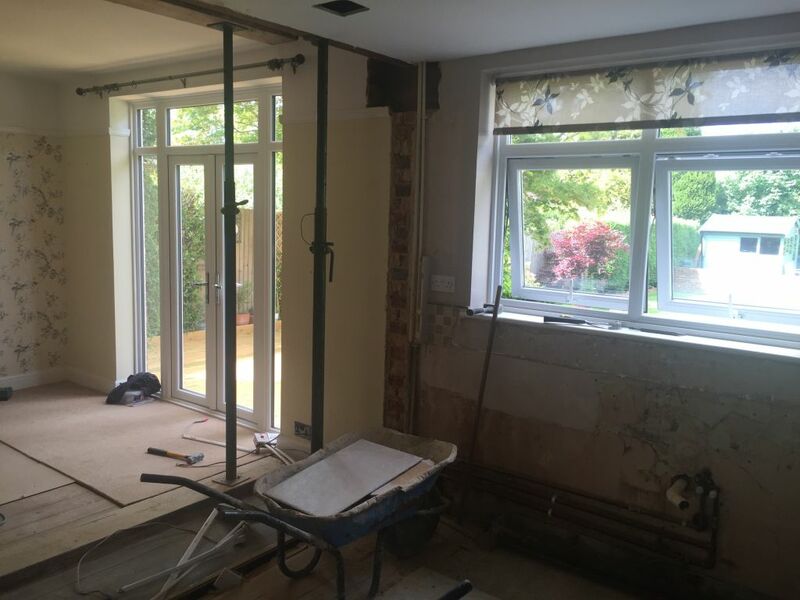 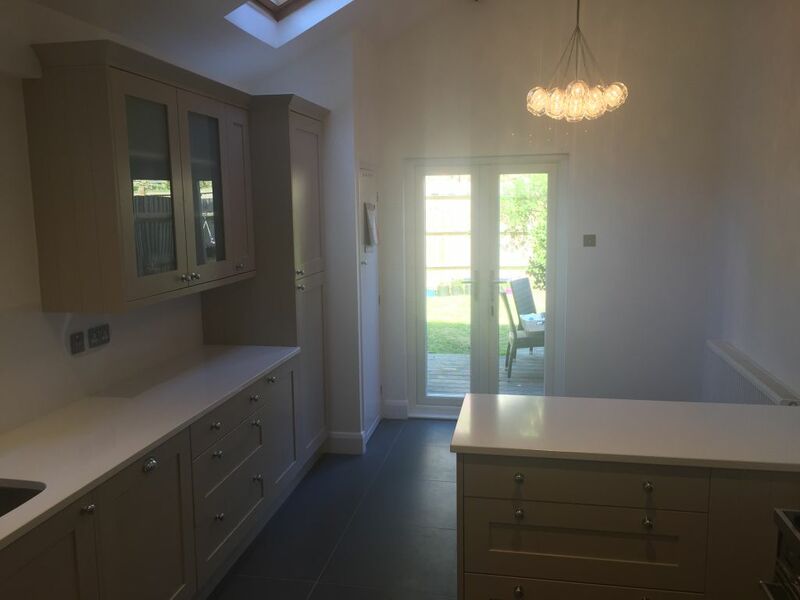 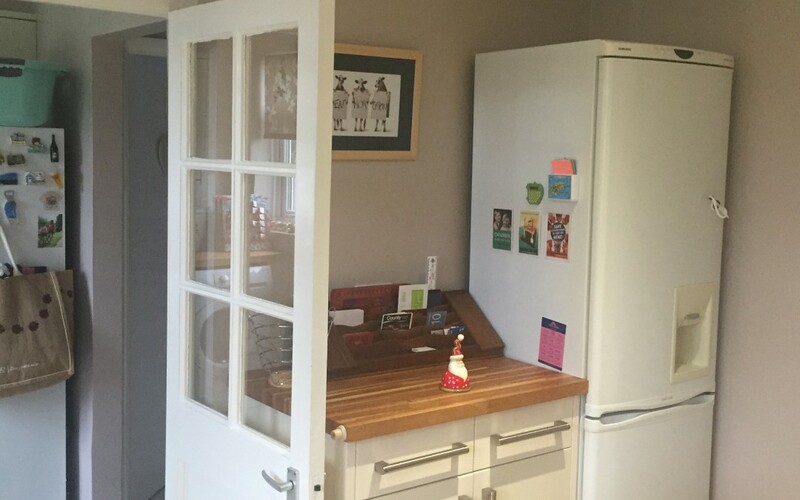 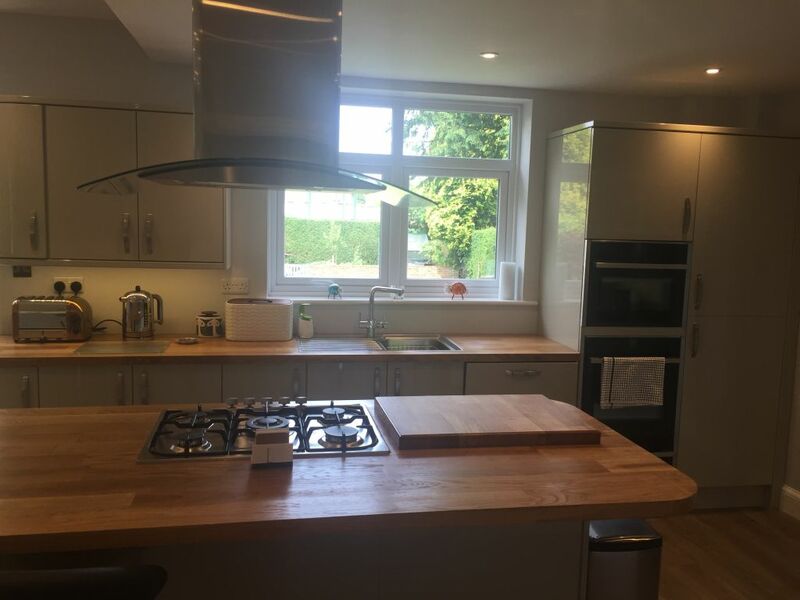 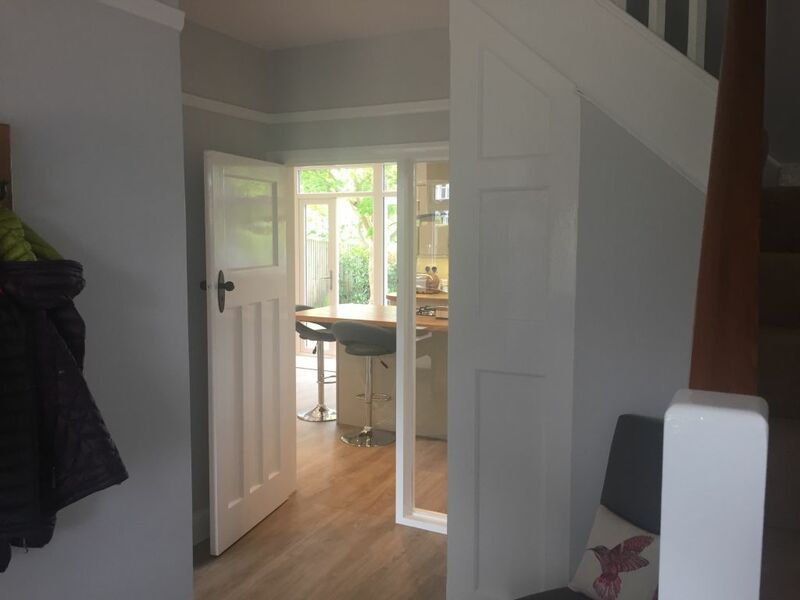 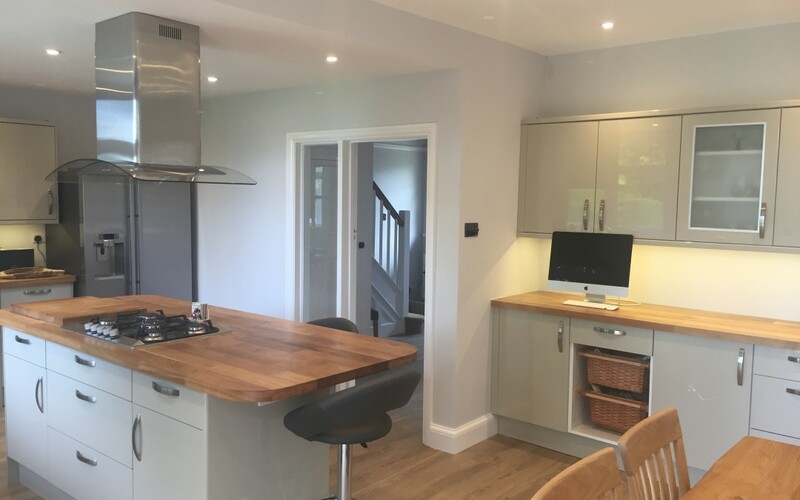 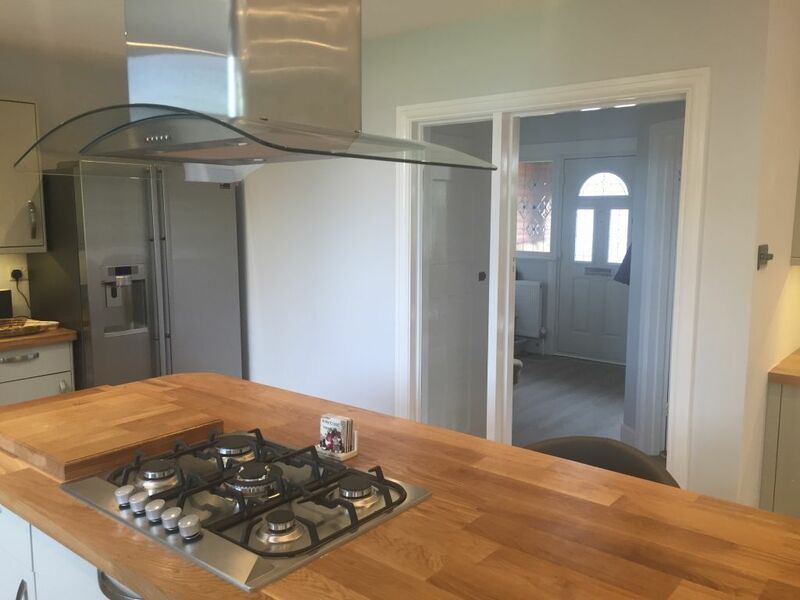 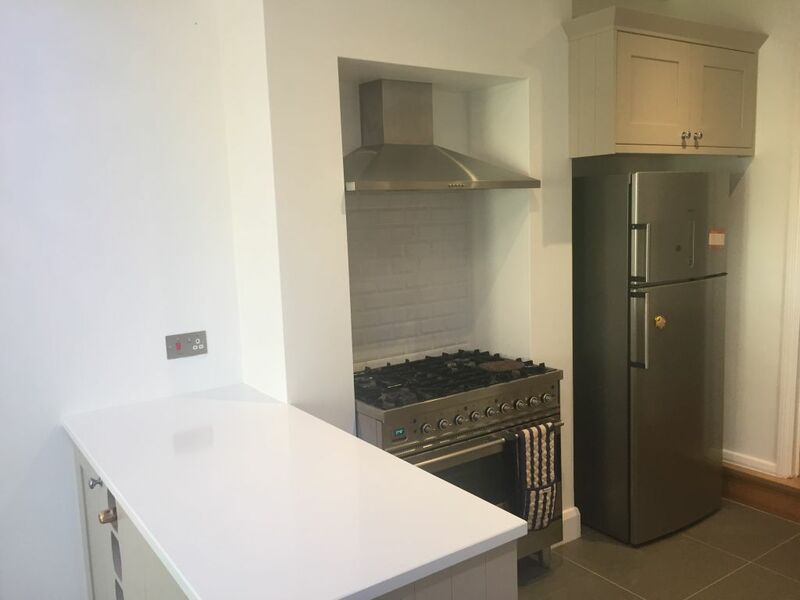 From these progress photos you can see that All In One Home Services Ltd covers all trades required to fully carry out such a kitchen project.